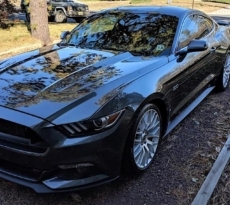 This Mustang of the Moment goes to Mustang6G member Irvin and his 2016 Mustang EcoBoost. Here’s an EcoBoost Mustang that has been customized and modified beyond recognition. 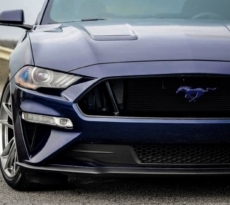 The front end received a makeover with Mustang GT upper and lower grille with mesh delete, GT front chin spoiler, MMD rear diffuser, Street Scene spoiler, and lighting enhancements by way of Diode Dynamics switchback turn signal LED kit. The interior borrows the carbon fiber GT350R steering wheel and adds a Blox Racing harness bar and audio improvements courtesy of Rockford Fosgate speakers. 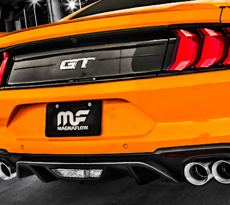 The handling, shifting and exhaust sound of this 2016 Mustang also get big upgrades. Suspension is helped by the Steeda front strut tower braces, front and rear sway bars, IRS subframe alignment kit, and UPR billet IRS vertical link. The engine is helped by Mishimoto oil catch can and oil cooler while the engine and exhaust note gets enhanced with the Turbosmart Blow Off Valve Kompact Shortie Dual Port, Flowmaster resonator delete Y-pipe and Roush axle back exhaust. This outfitted EcoBoost Mustang rides on set of Japan Racing JR 21 20-inch wheels in silver. 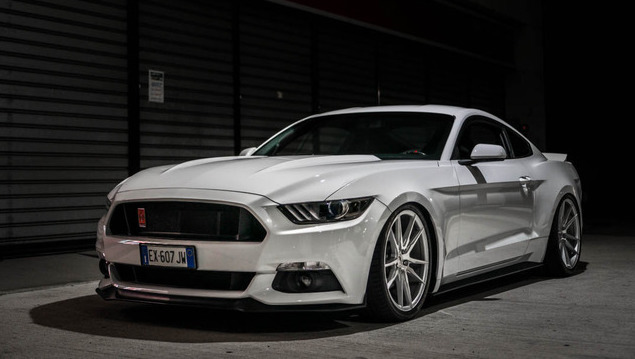 Check out Irvin’s 2016 Mustang EcoBoost build thread and full modifications list in our forums.